The Grim Facade series has just been updated with a new release, Grim Facade: The Message Collector's Edition. Amax Interactive have done a great job with this new addition that brings the series to a new level. Explore the creepy story, locations, items, and characters in this thrilling hidden object puzzle adventure game! The game is very fast-paced and you move forward quickly switching from one activity to another. In Grim Facade: The Message Collector's Edition, you play as a detective who is investigating several murders that happened in the city of Mordamo. You get help from a dead medium who called you to this place in the first place. She wanted you to find the killer of a photographer but got killed herself upon your arrival. Then things got even worse when you are accused of being the killer after your investigation has dug too deep into the local affairs. You need to hurry and find out who is truly behind all of this before you get all the blame and the evil side wins. You don't really need to hurry because the game is very fast-paced and you move forward quickly switching from one activity to another. The game is not over till you stop the killer in the bonus chapter. So, a lot of whodunit fun for the genre fans! Not only you get to choose the difficulty mode, you also get to customize your character (fun!). You get to use the spirit catcher device again. It shows you spirits and other hidden items in the scenes. You are busy with collecting coins that you use for buying all kinds of inventory that needs to be used in the game. 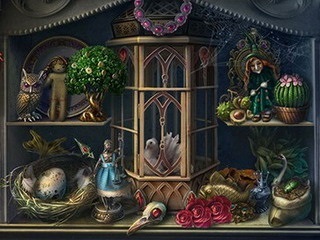 If you like hidden object scenes in general, you are going to enjoy that part of the game here. They are fun and creative and feel fresh. Some of them are replayable. There are no replayable mini-games, unfortunately. 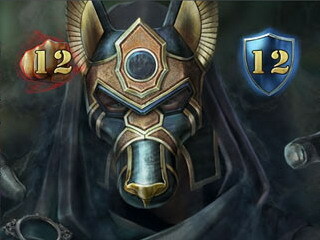 Some of them come in two difficulty modes to accommodate players of different skill levels. in addition to coins, you also collect all kinds of items for the medium (some of them are creepy!). There are 14 achievements to earn. You get a map, a strategy guide, and a bunch of media extras to enjoy! 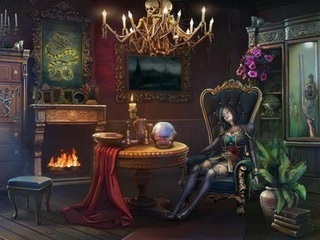 Grim Facade: The Message Collector's Edition is an excellent hidden object puzzle adventure game! This is Grim Facade: The Message review. Download this game here.